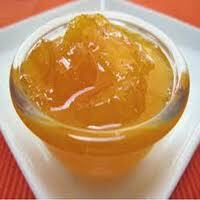 Today we are going to share a yummy Apple Jam recipe with all of you. This Yummy Apple Jam with fresh bread for your breakfast is a delicious food in today fast life. 1.5 cups peeled and chopped apples. Mix the peeled and chopped apples and sugar in a microwave safe bowl and microwave on high for 2 minutes. Remove from the microwave and add the lemon juice and cinnamon (dalchini) powder. Mix well and microwave on high for 2.5 minutes. Cool and store in refrigerator in an air-tight container. Hope you like this recipe. If you like please do comment on this post.